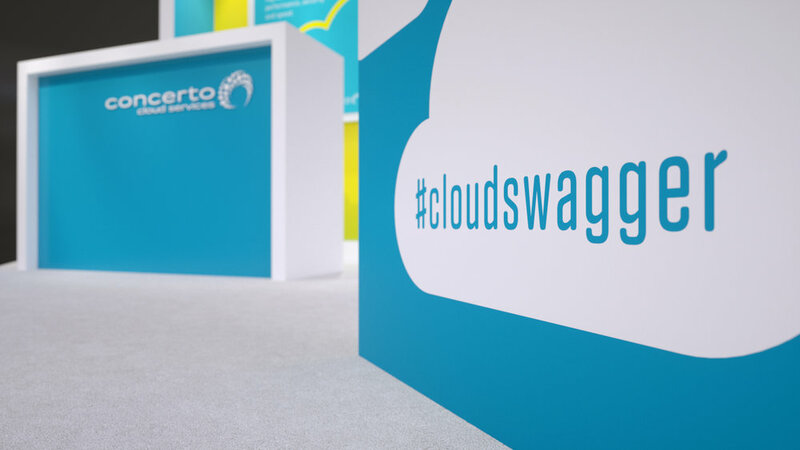 Concerto Cloud — Exhibit Solutions Inc. 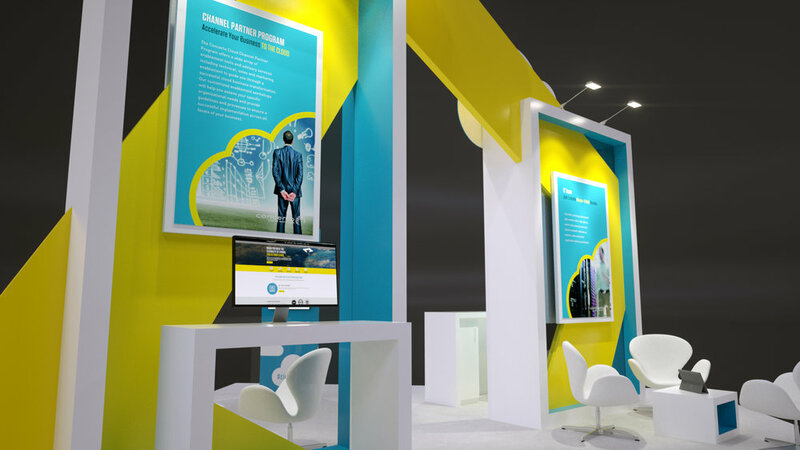 This custom 20' x 20' exhibit design features layers of acrylic, laminated panels, and printed graphics. 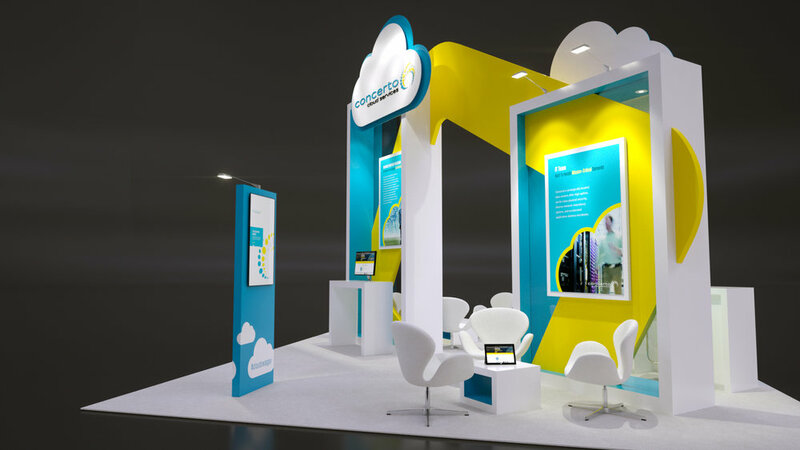 The focus was to showcase the client's branding while highlighting their cloud based connectivity theme for their show.